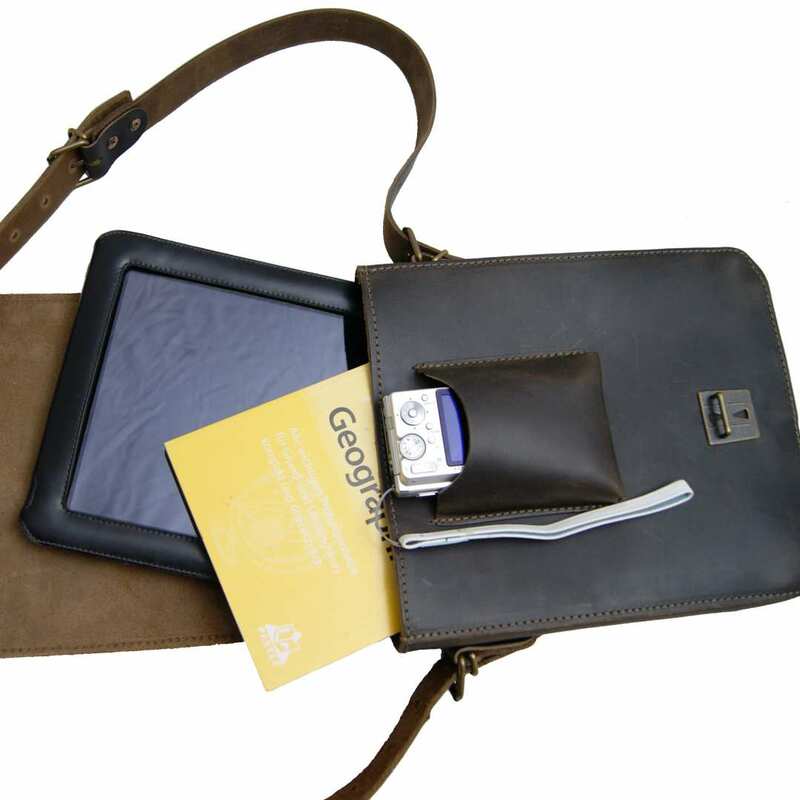 Product information "iPad bag ARISTOTELES brown leather"
The iPad bag ARISTOTELES made of brown leather offers you a comfortable possibility of carrying your modern daily assistants like an iPad or a smartphone everywhere you go in a safe, practical and particularly stylish way. Every year, many new devices that pleasantly ease our daily life stream on the market. Now they have become a vital part of our life and therefore we also need accessories to protect and carry them. On the other hand, some things like style and taste never go out of fashion. With the iPad bag ARISTOTELES made of brown leather you can happily combine the pleasures of technical innovation with classical and timeless elegance.With its dark brown tone and its plain design this bag is perfectly suitable for every outfit, every occasion and every moment of the day. 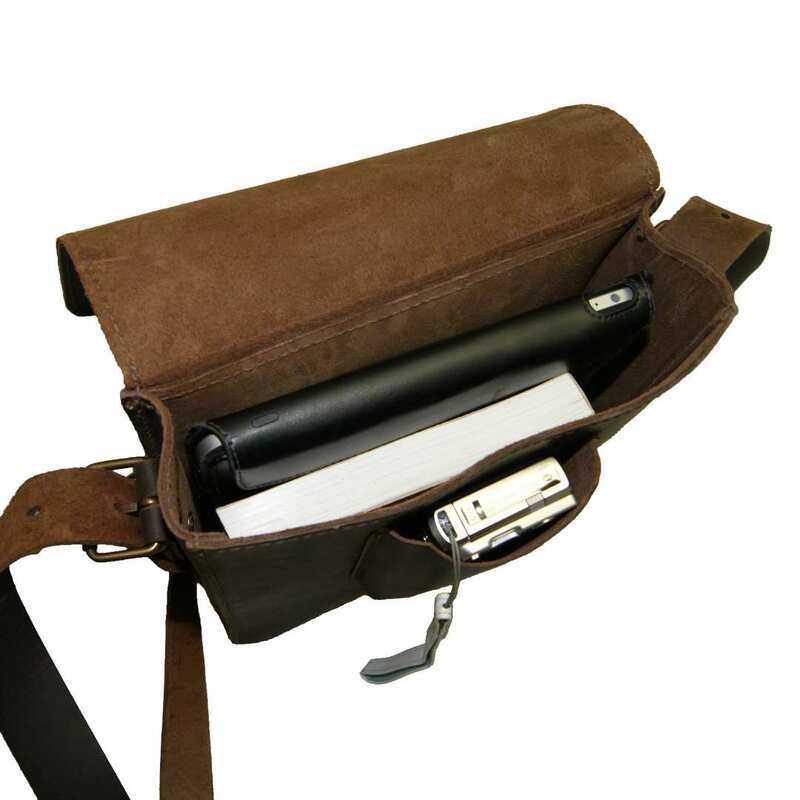 The handy dimensions of the iPad bag ARISTOTELES made of brown leather make it a practical companion for many situations. You would like to relax in a park? 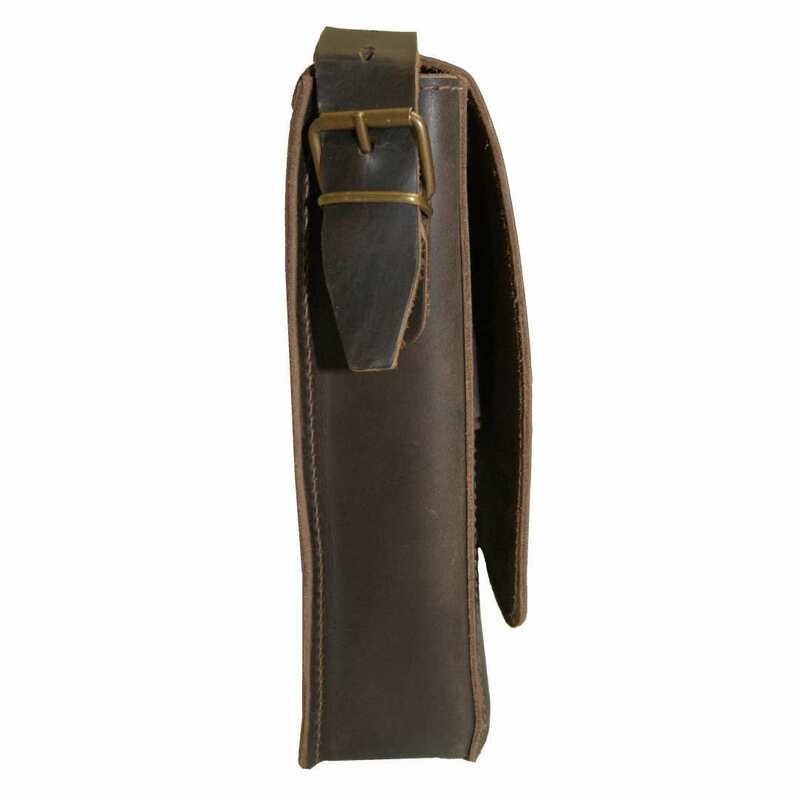 Then pack a notepad or a book in this bag. For extensive walks you could store a map and a banana, for instance. Even for your smartphone, there is always a free and safe corner in this bag. This brown leather iPad bag ARISTOTELES is provided with a 8.3 x 10.2 x 2.4 in (21x26x6 cm) large main compartment, in which you can comfortably store your iPad. Under the closing flap which - equipped with a practical plug lock- is a smartphone pocket. The 51.2 in (130 cm) shoulder strap can be adjusted by the two buckles on each side of the bag, according to your preferred length. The bag weighs approximately 1.15lbs (0.9kg). The iPad bag ARISTOTELES made of brown leather is traditionally crafted by hand only in small numbers in Leppersdorf in Saxony. 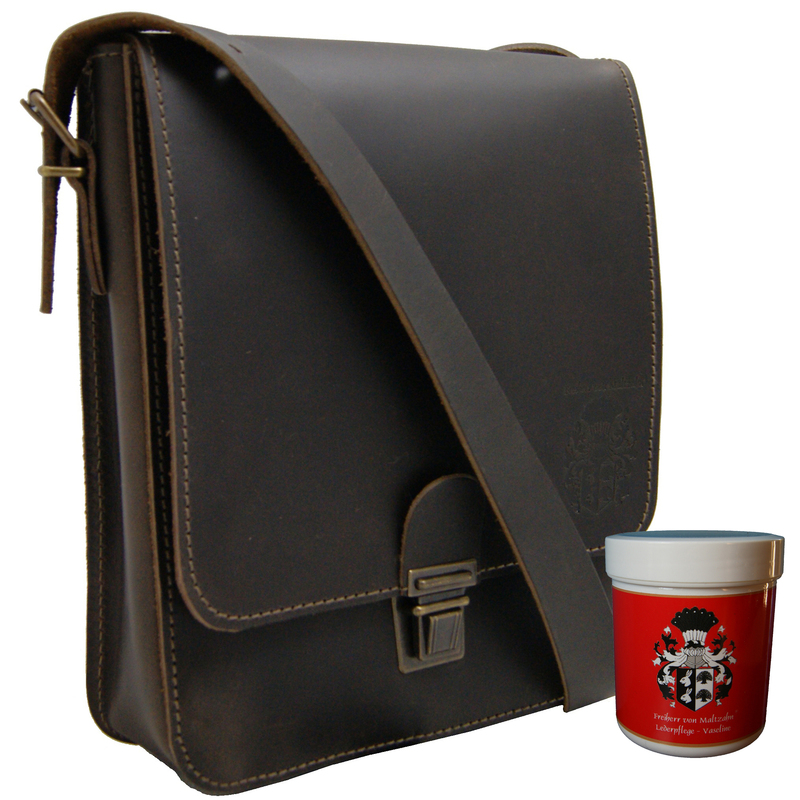 It consists of high quality organic bovine leather which has been vegetable tanned and dyed through and greased by hand. This nature material makes every bag unique and through traces of usage after time it receives its distinctive personal and individual character. Reviews for "iPad bag ARISTOTELES brown leather"